With the start of the school year, and many activities and new beginnings, we had a busy month of August! So many great things happened this past month that I have been excited to share. Big milestone is our little girl’s life…she officially started preschool! I was a little nervous like I’m sure most moms get before their kids start school. I knew she needed it…she needs constant stimulation and opportunities to learn, both academically and socially. I was nervous because other than church, she had never been in a classroom environment like that before. She can be stubborn and bossy, and I didn’t want her to be the misbehaving child in the class! However, she has done AWESOME! She absolutely loves school. She behaves, stays busy, learns and participates, and even takes naps at school! I have noticed her behavior at home has improved since starting school as well, so this has been a great thing for all of us! 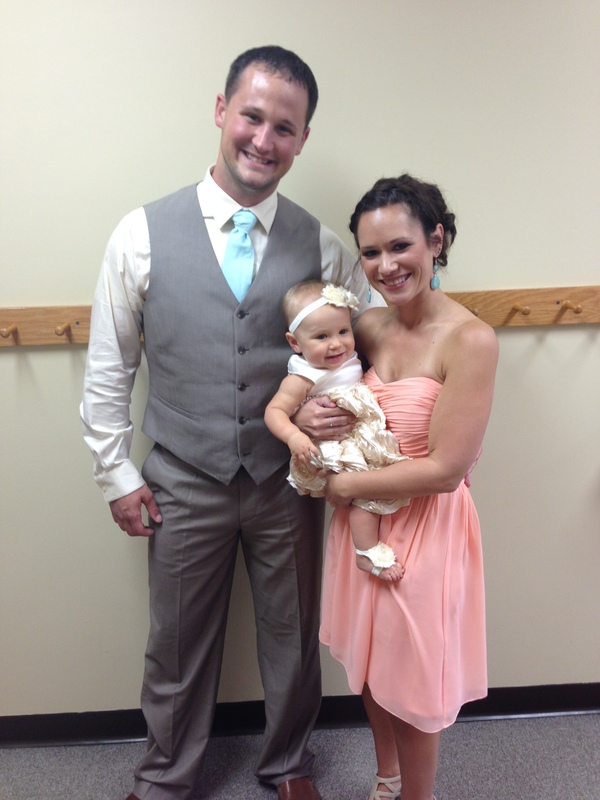 Some of our great friends, Nick and Kaitlyn Phipps got married in mid-August. We have all been looking forward to this day a long time, since they are like family to us. 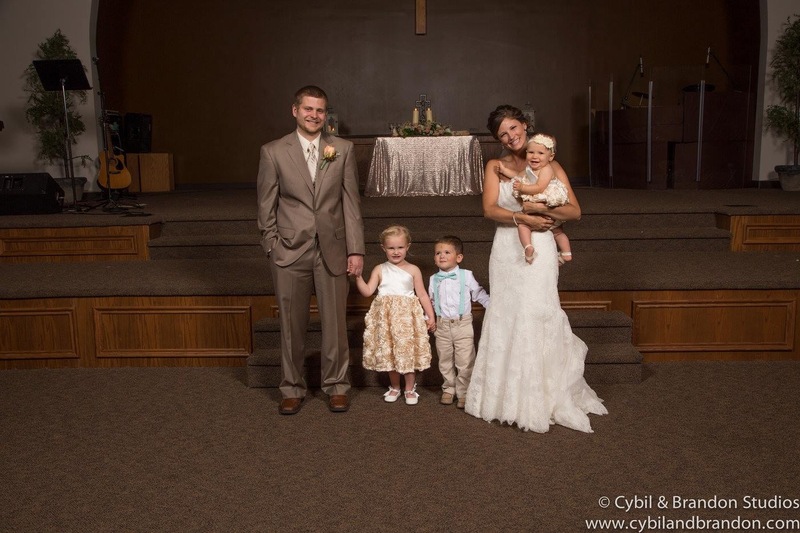 My sister was the matron of honor, Briggs was the ring bearer, and Kinsie and Kerigan were the flower girls. Even though it rained the entire day and it was an outdoor wedding, everyone had a blast! The kids did their jobs well, and then they danced the night away! I wish I would have gotten more pictures, but I wasn’t able to since I was holding Brax most of the time. It was a great night! Kinsie is finally old enough to play soccer for the club that Ryan grew up playing, Westside United. They have practice twice a week, and games on Saturdays. She is one of the youngest ones on her team, but she still does very well for not even being 3 years old yet. She participates and listens to the coaches very well, but sometimes, especially on days she doesn’t go to school (and therefore doesn’t take a nap), she gets pretty tired and just flops on the ground and lays there! She is still learning the concept of trying to take the ball from the other team since we have taught her to share and not take toys from others! Soccer has been good for her since she has so much energy to burn! September is almost halfway over now, and it is almost the fall season, one of our favorite times of the year. There are so many exciting things coming up, like Kinsie turning 3 and the birth of our new niece of nephew. Stay tuned for updates within the next few months! 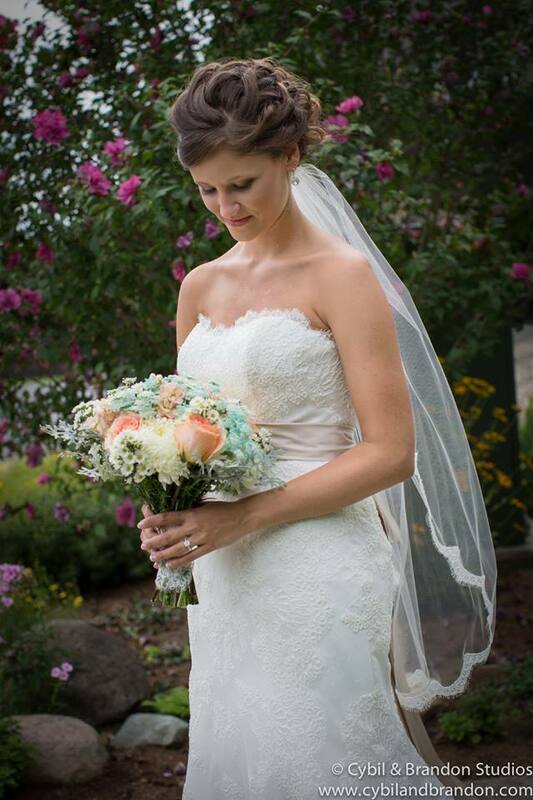 On Saturday, August 9, my beautiful sister-in-law, Megan got married! Ryan, Kinsie and I were all lucky enough to be a part of Megan and Tim’s special day. 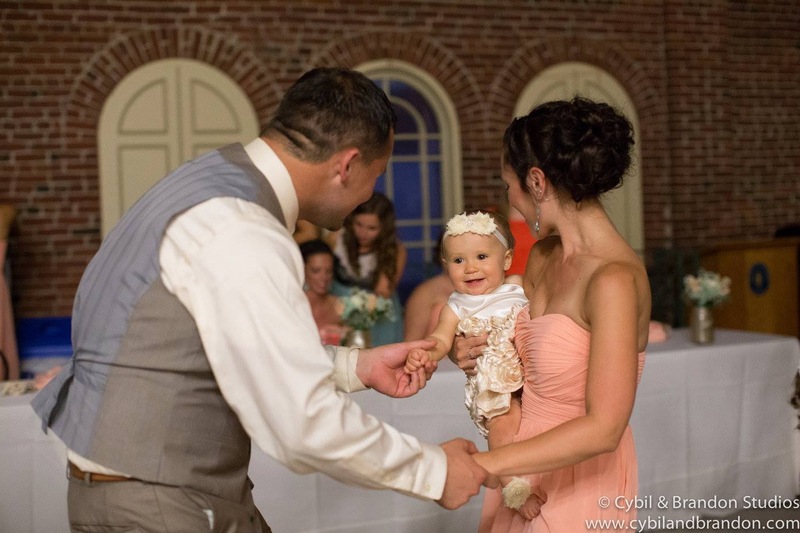 Ryan was a groomsman, I was a bridesmaid and Kinsie was the flower girl. It was an absolutely beautiful ceremony and reception. The week leading up to the wedding was very emotional draining for us losing Diane and saying goodbye to her at her funeral, so we were very grateful that we got to end the week with a celebration. We definitely needed to smile and be reminded of how beautiful life can be. 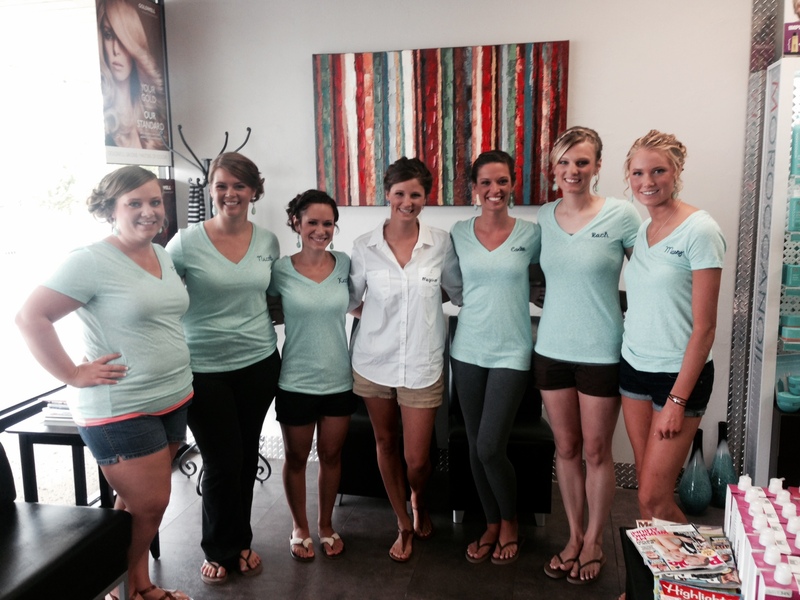 I loved getting to spend the day with Megan and the rest of the bridesmaids. Megan and I have always been close since Ryan and I have been together so long. Megan has 2 brothers, so I’ve always been able to play the role of a sister for her that she never had. We are ridiculously similar…both in our looks and our personalities. People mistake us for sisters all the time. Megan has such a genuine, kind and gentle heart with a strong love for Jesus. 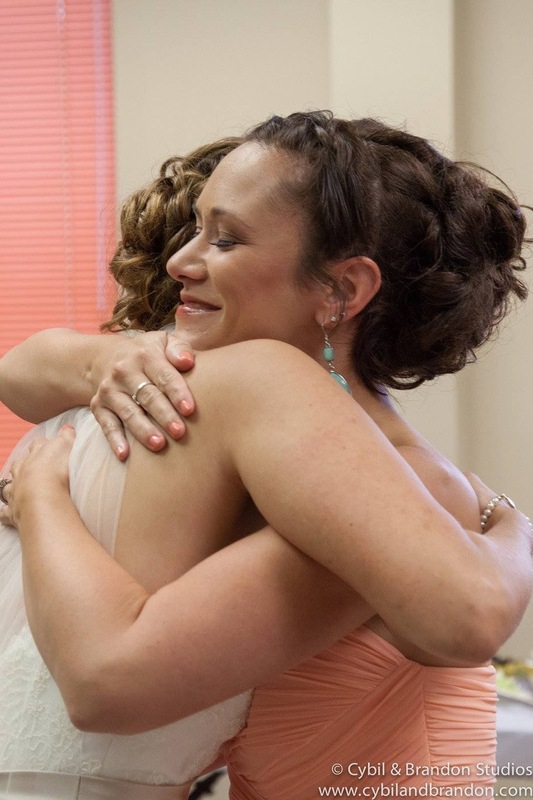 Sometimes we call her “Mother Megan,” after Mother Teresa, because she is so kind and selfless. I’ve always been protective of Megan because I knew she deserved the absolute best and I never wanted anyone to hurt her. 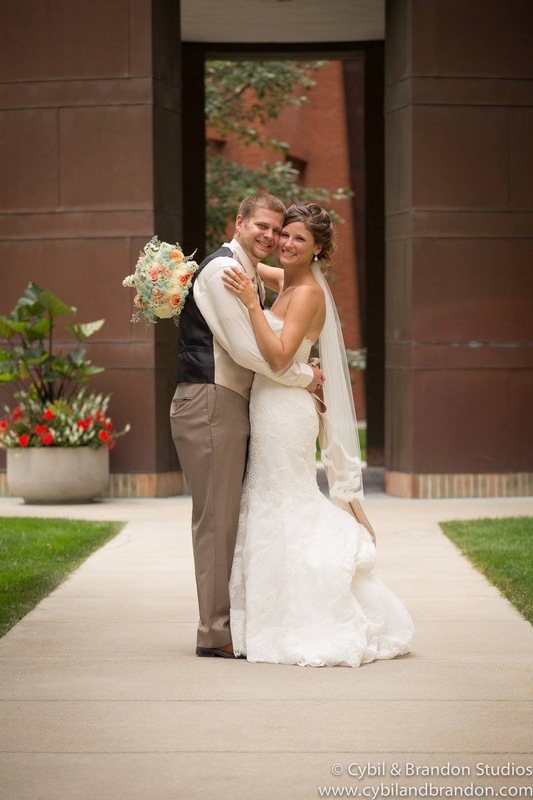 When we first met Tim, we knew she couldn’t have found a better match for herself. He is kind and easy-going who also puts his faith first. Megan and Tim compliment each other perfectly and bring out each other’s best qualities. 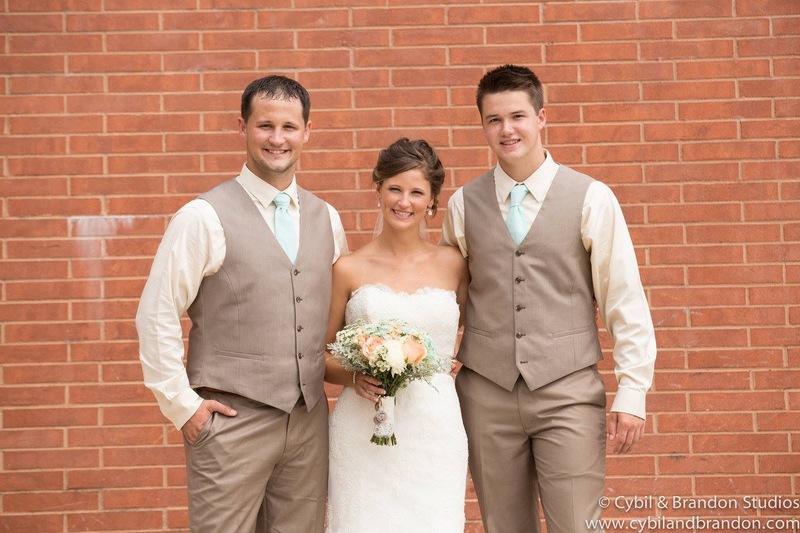 The ceremony represented them and their relationship perfectly…elegant and genuine. 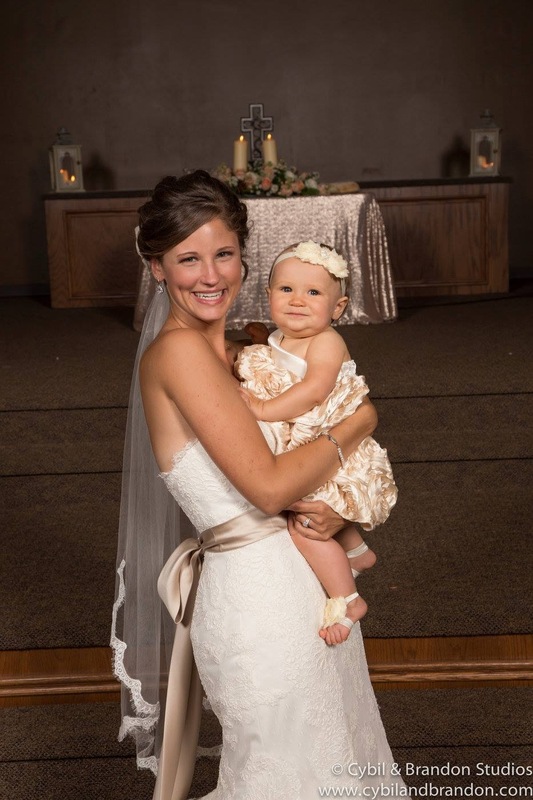 Megan was an absolutely stunning bride. Tim is a very lucky man…but I’m sure he already knows that! 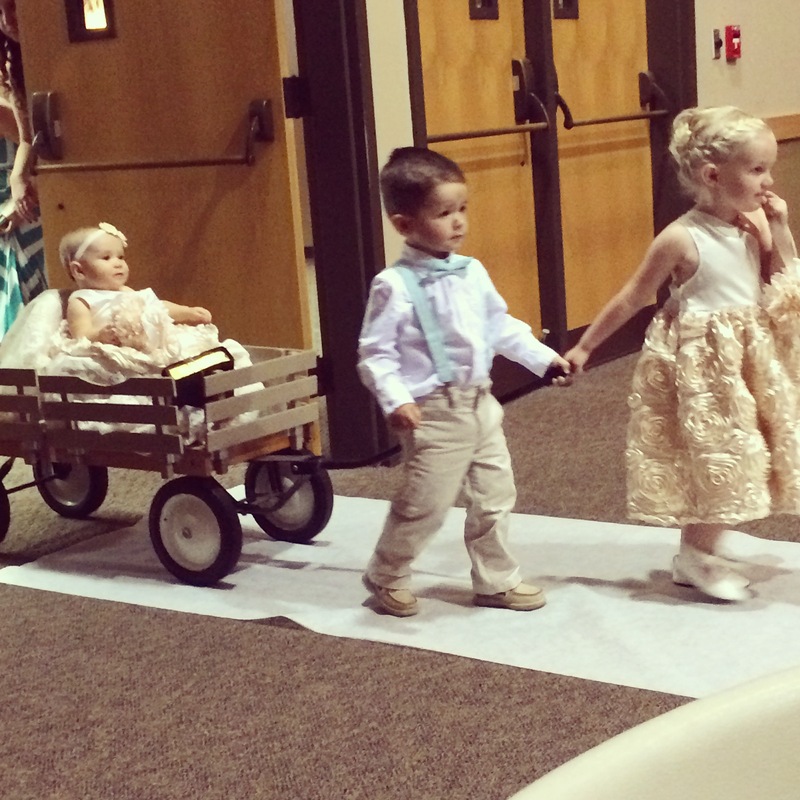 Kinsie was the flower girl and she rode down the aisle in a wagon pulled by Briggs (who was the ring bearer) and her cousin Kennedy. 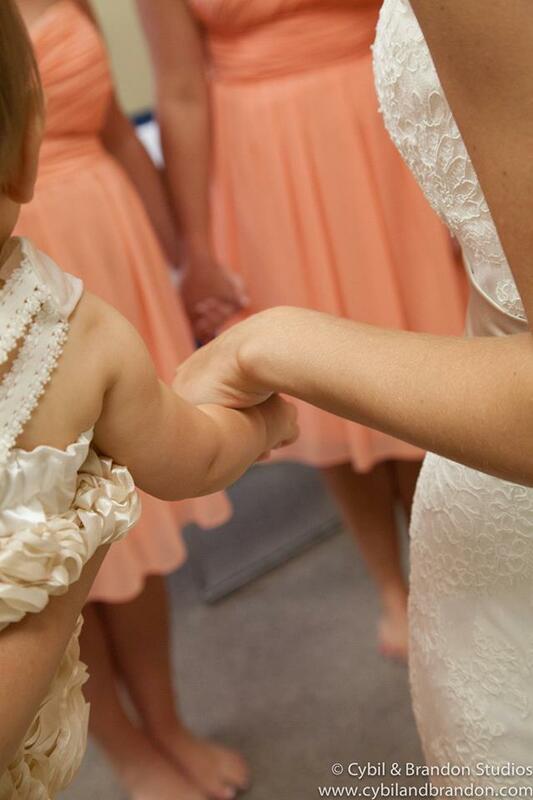 I know most moms of flower girls would say this, but Kinsie was the best little flower girl ever! 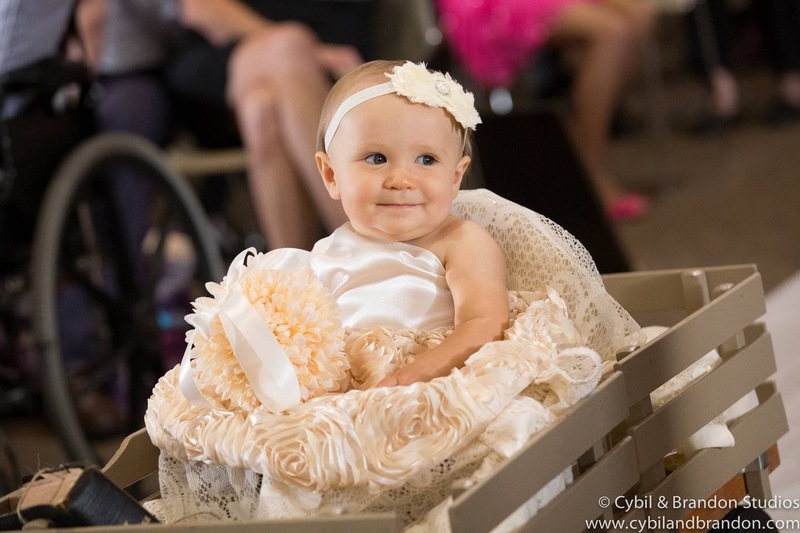 She did an awesome job smiling and waving at the crowd as she rode down the aisle. 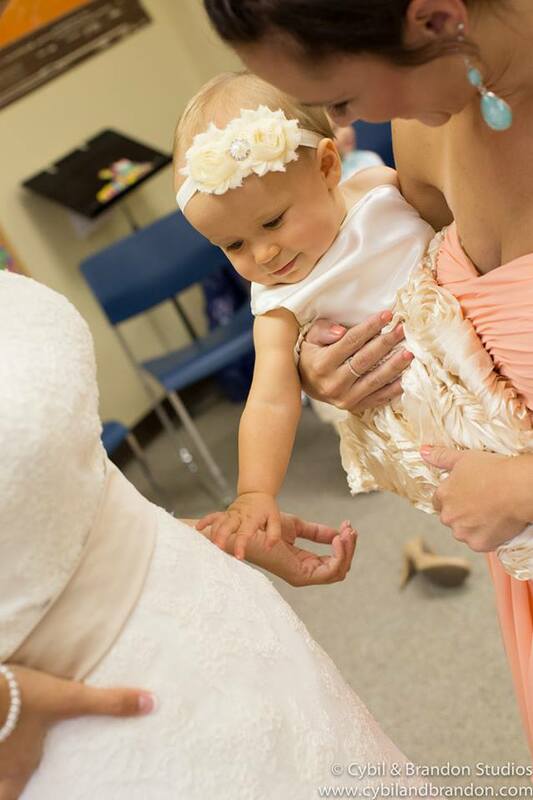 She got a little noisy during the ceremony but only because she was excited to see her Aunt Megan get married! Briggs and Kennedy deserve some major brownie points also on doing an awesome job pulling the wagon. The combination of those 3 put a smile on everyone’s face at the ceremony! After all the excitement from the ceremony, my mom drove Kinsie to the reception so Ryan and I could ride with the bridal party. Kinsie passed out as soon as she got in the car, and stayed asleep through dinner at the reception. When she woke up, it was party time! She had a blast dancing with everyone, visiting all the aunts, uncles and cousins, and watching the bubbles during Megan and Tim’s sendoff. 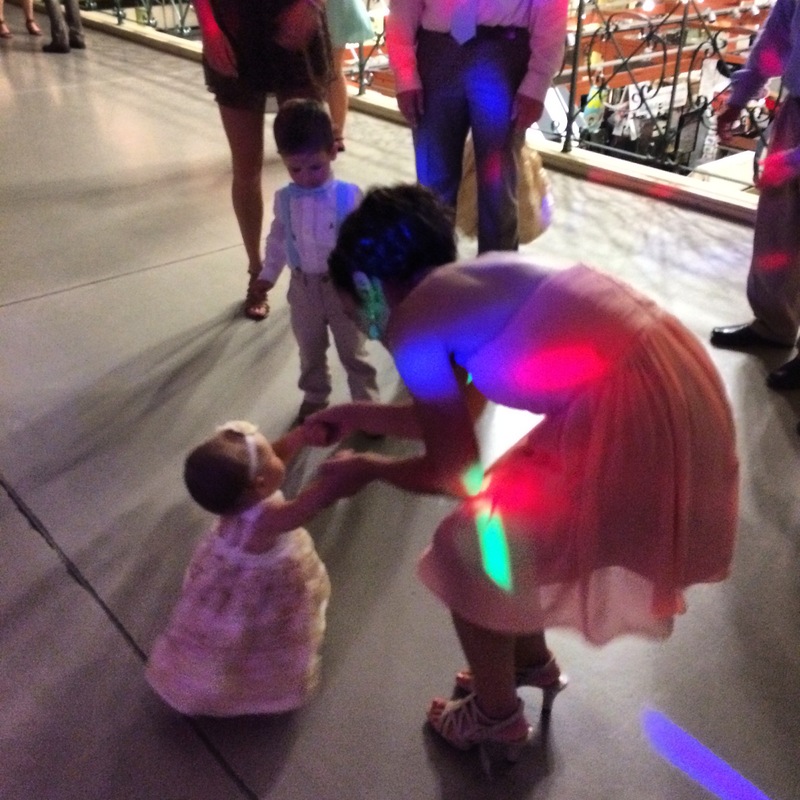 She stayed up and partied for the rest of the reception. Even on the drive home, she sang to us for half the drive until she finally passed out. She’s used to going to bed around 8pm, but hey, your aunt Megan only gets married once, so live it up! She ended up staying up past 11pm! 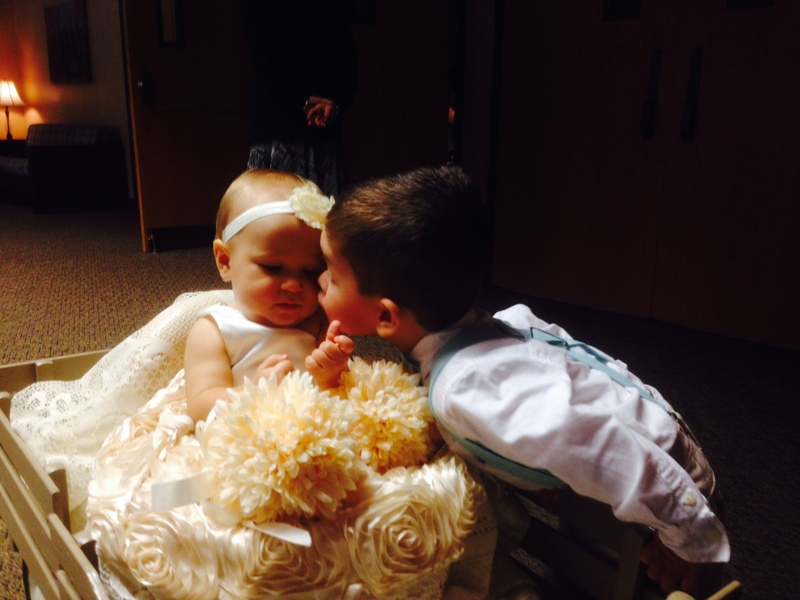 She did so well the entire day…she sure knew how to make her mommy and daddy proud! 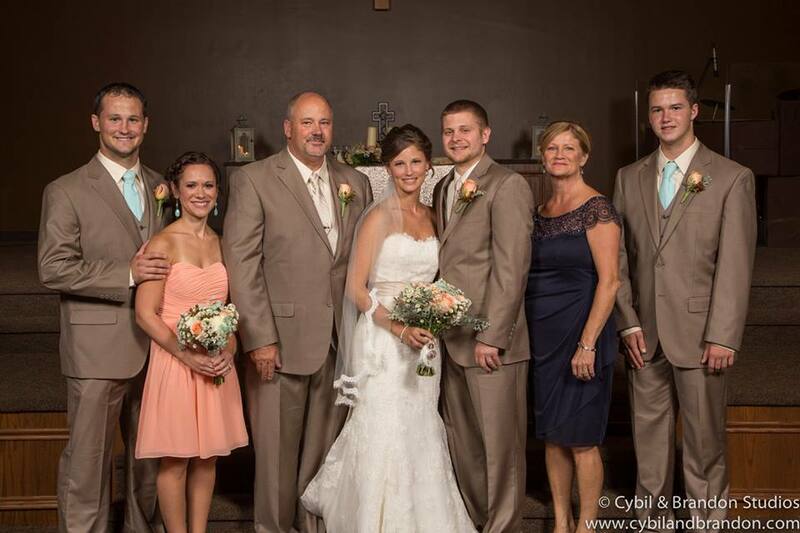 Congratulations to the new Mr. and Mrs. Mosier! I can’t wait to see the beautiful journey God has in store for you in your new life together! We love you!